... rather than using a story to demonstrate dazzling CGI. This film was just as good as its predecessor, Finding Nemo. 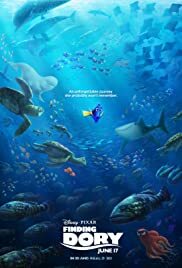 In this film (which takes place one year after 'Nemo'), Dory, who suffers from short term memory loss, makes it a mission to find her parents. She helped Marlon find Nemo in the first film and now she wants help locating her parents. She became separated from them when she was young and until now, has relied on others to help her find her way. She also gets by with her unique brand of impulsiveness and quick action. Throughout the film, Dory uses other "people's" (fishes'?) words and objects to trigger memories that assist her in finding her way. It was very clever how Pixar incorporated these triggers to help move the story along and flesh out Dory's background. I also liked how they treated short term memory loss with sensitivity and did not make it a joke. The marine center that Dory & co. end up at is based on the excellent Monterrey Bay Aquarium. The funniest new character added to the Nemo franchise is Hank the octopus (except he only has seven legs as Dory points out and refers to him as a "septapus."). Hank is cynical, but you know he's a softy deep inside. He can also camouflage himself into his settings which is quite comical. There are other funny characters like Becky the buzzard and Gerald the seal with a uni-brow. It seems that Pixar thrives on adding emotional scenes to their films that pull at their audience's heartstrings. Finding Dory is no exception. 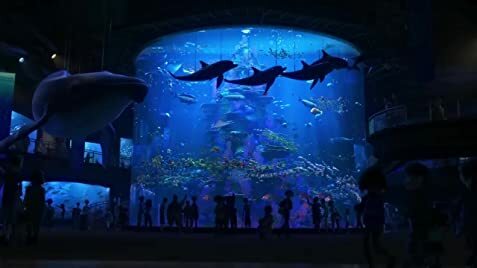 There is a very dramatic scene near the end of the film where Dory is separated from her party and is lost in an unfamiliar, dark ocean, alone. She has to rely on herself to figure out how to find her way out and find her friends. This was a very heart wrenching scene. I won't lie, it made me tear up and I could hear other people sniffling in the theater. Another emotional scene is the beginning of the film showing a baby Dory with her parents. It's not as sad though as the beginning of Up, though.